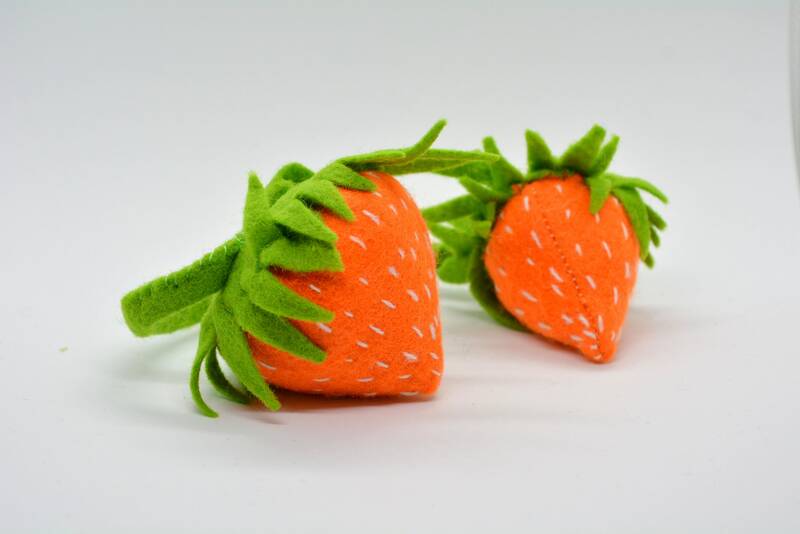 You can’t escape the fact that cats just love catnip and that’s why we have created this adorable Strawberries Catnip Toy. 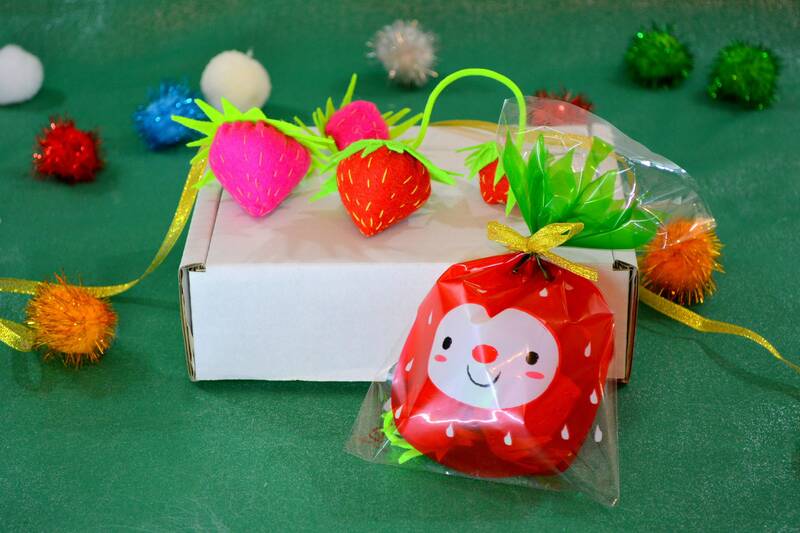 Imagine the hours of fun your furry friend will have - jumping around and chasing this fruity concoction. It's so amusing watching the effect that catnip has on a cat, they drive themselves into a frenzy, and then finally flop on the floor in a blissful catnip induced happy trance! 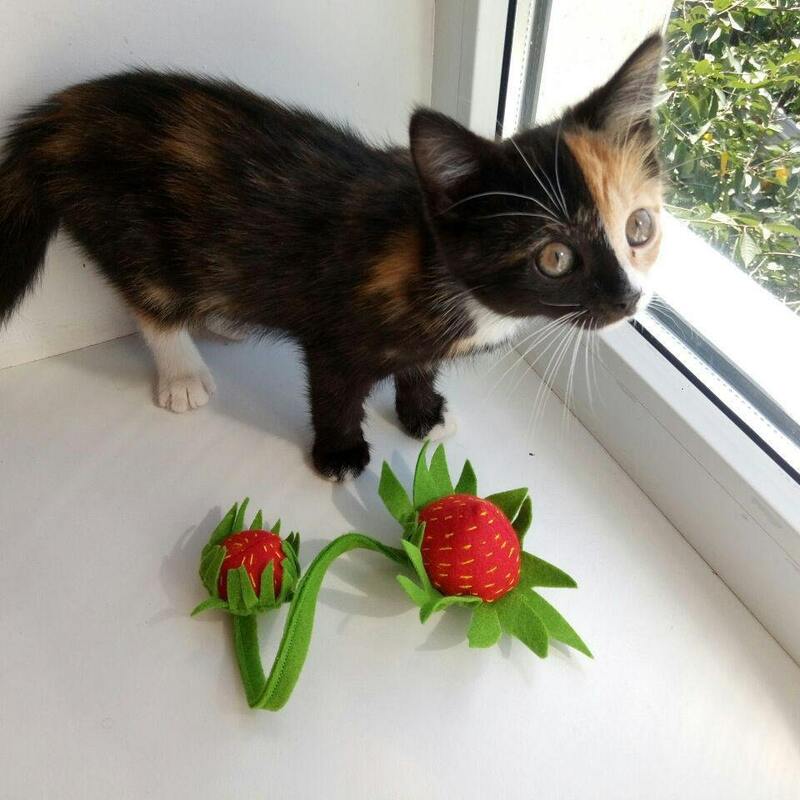 Beautifully handmade with acrylic felt, this is a brightly coloured vibrant toy so you won’t lose track of it, even when they have chased it under the sofa. With a strong aromatic fragrance, we are sure that the minute your parcel is delivered, your cats will be going wild waiting for you to open it up! 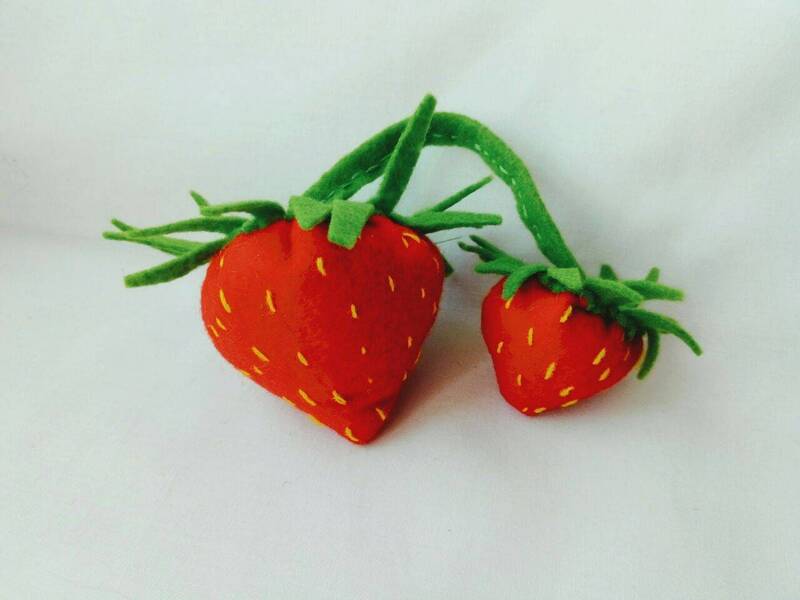 Two handmade fabric strawberries filled with catnip. 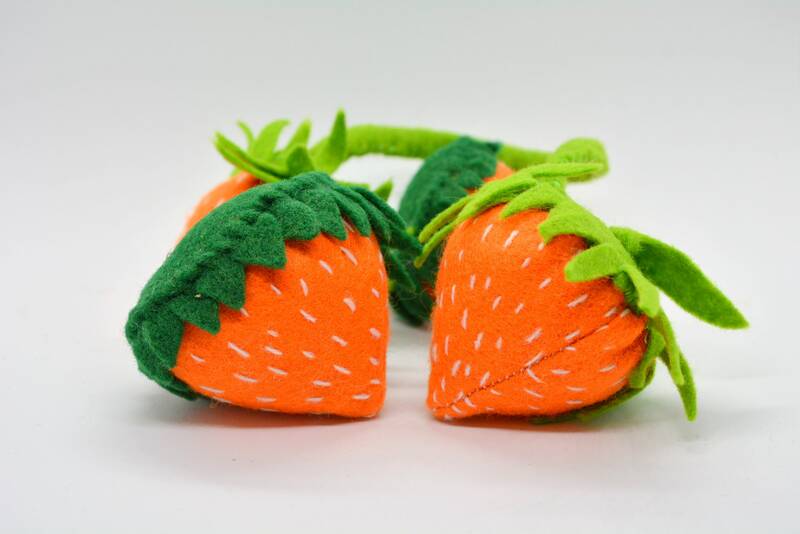 We’ve tried to measure them but we ended up chasing the tape measure instead (that was so much fun) , so to give you a rough idea, the main strawberry is about the size of an egg, with the baby strawberry being a mini version! Use a lint roller to remove dust or pet hair. Wipe clean with a slightly damp (not wet) cloth. Don’t put into the washing machine or dryer. Shipping times will vary depending on the final destination. We love custom orders at Crafts4Cats, in fact, we get so excited that we purr very loudly and start head-bumping all humans in total delight! If there is a creation that you don’t see among our listings, or you would like to us to adjust an existing listing, send us a conversation and let’s get creative together! 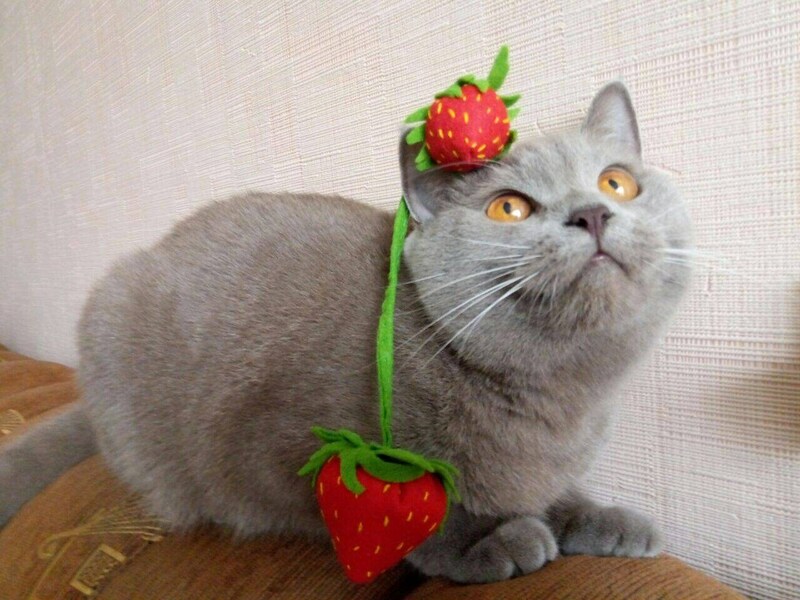 @sissi_and_daisy love their fruits and vegetables. 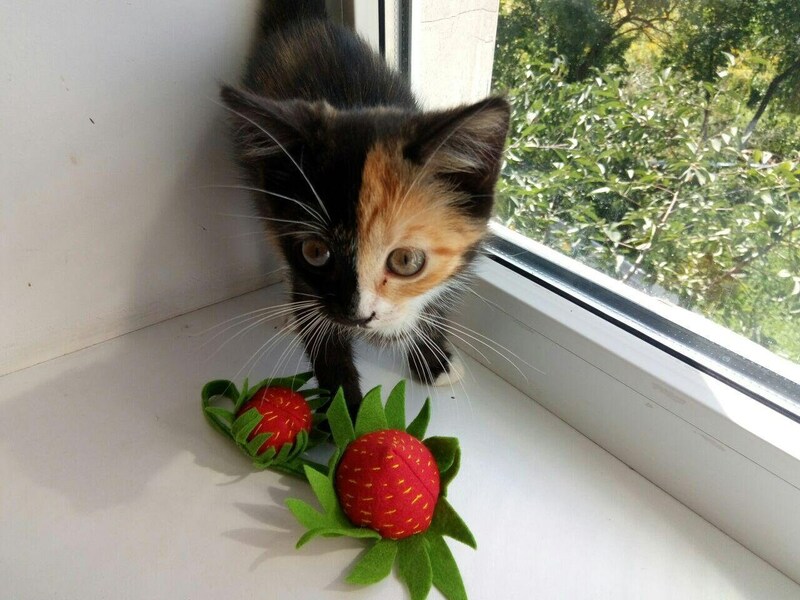 Now 5 a day should be easy!